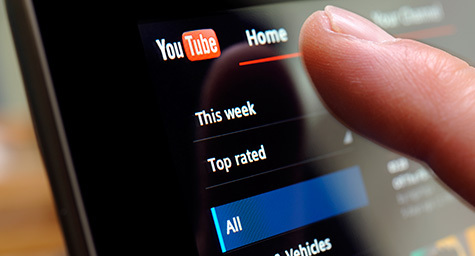 Have You Heard the News About Google's New YouTube Newswire? Have You Heard the News About Google’s New YouTube Newswire? Google is making news by looking to users to capture the news. The search engine giant recently launched a service called YouTube Newswire to show eyewitness video footage of current events seen and shared by users. Such user-generated news clips have become popular on YouTube. This led Google to want to feature this footage to help users find relevant news clips. The search engine also hopes that YouTube Newswire will be seen as a trusted resource for journalists to enhance their own news coverage. MediaPost.com aired more on this newsworthy video service. In recent years, YouTube has enabled people to share and watch the world’s biggest and breaking news stories. It’s become the first place that many people look to stay current on current events. Now, YouTube Newswire will share the latest worldwide current events through eyewitness video footage taken by people on the scene. It will include both global and regional feeds that show the most relevant videos around the world. Google partnered with social news agency Storyful to develop the video service. All of its user-submitted video footage will be curated and verified by Storyful’s editors, as well as embedded from its original sources. To train its YouTube Newswire team to verify eyewitness media, Google formed a group of social media journalists to develop educational resources on validating news content. In addition, Google is working with WITNESS to support human rights issues through the analysis of citizen-generated video. The WITNESS Media Lab will partner with leaders in journalism and technology to develop in-depth projects that explore human rights struggles from both personal and eyewitness perspectives. With YouTube Newswire, Google will bring eyewitness news to the eyes of the entire world. Watch what’s new in social media video. Contact MDG Advertising.